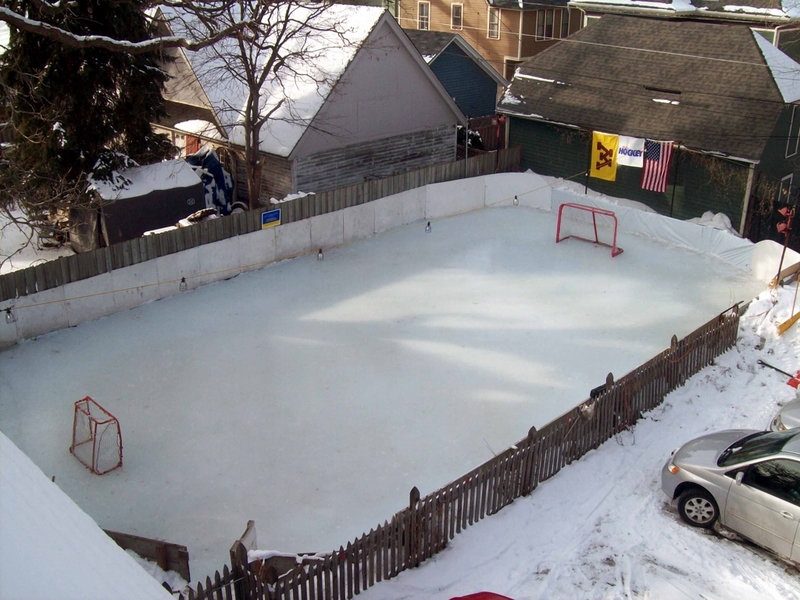 Backyard Rinks... a St. Paul Capitals Hockey Tradition! 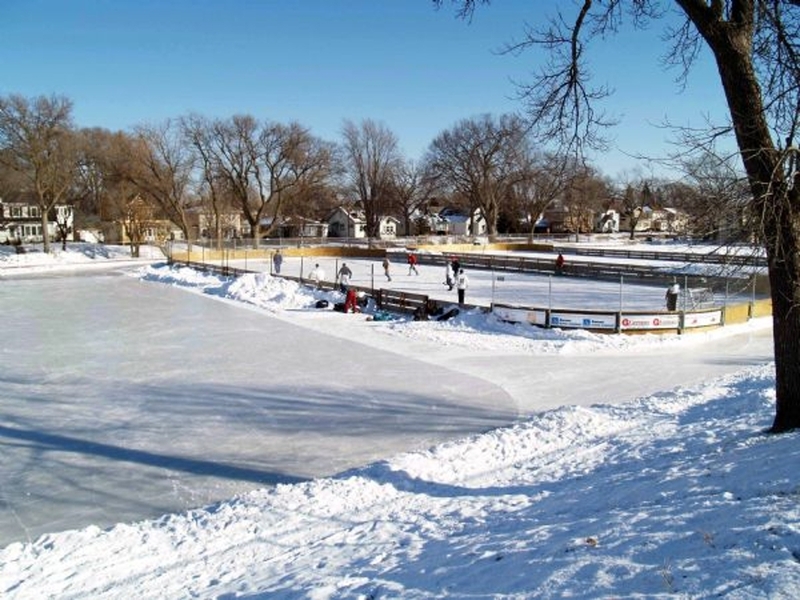 Families wishing to purchase poly for their outdoor rinks may do so at Gerten's, 5500 Blaine Avenue, Inver Grove Heights, MN 55076, 651. 450.1501. 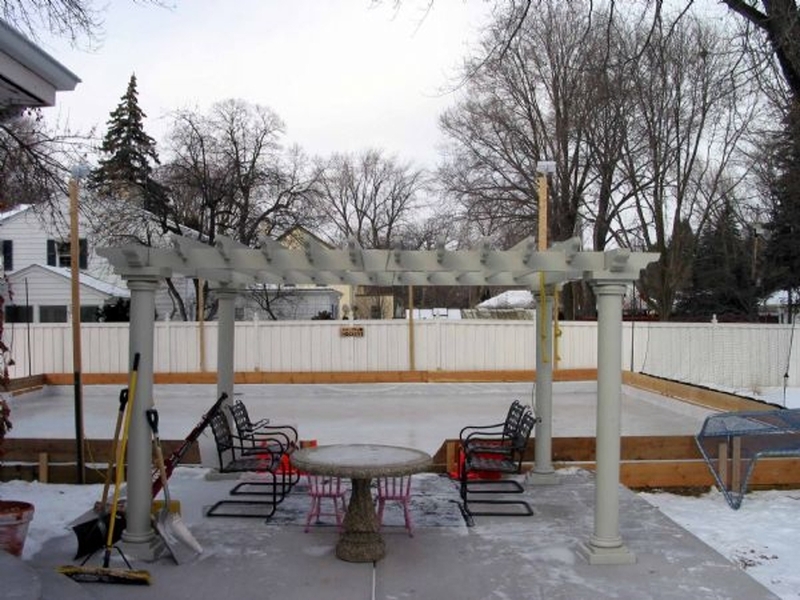 Ask for Landscape Supply when you call / visit. 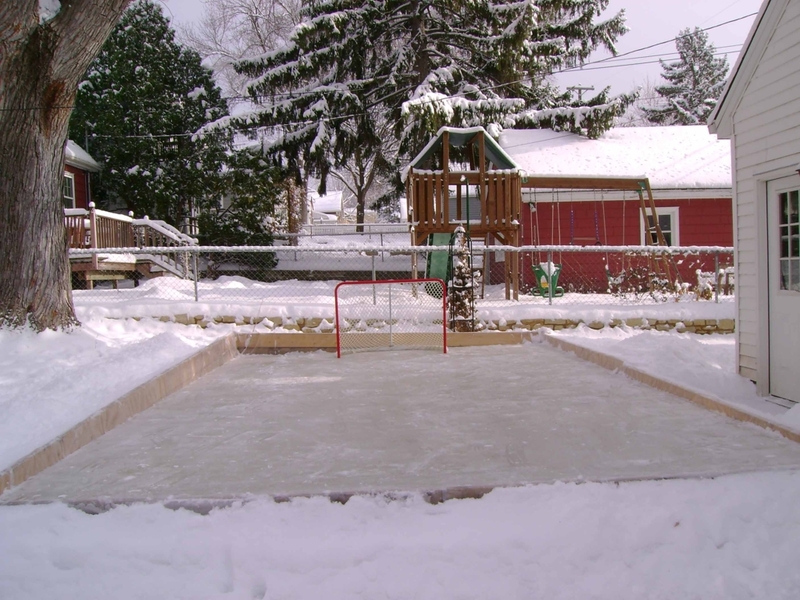 Instead of running the garden hose all night long - you might consider contacting Chlorinated Water Supply who can dump over 5600 gallons of water in your rink in 15 minutes or less. 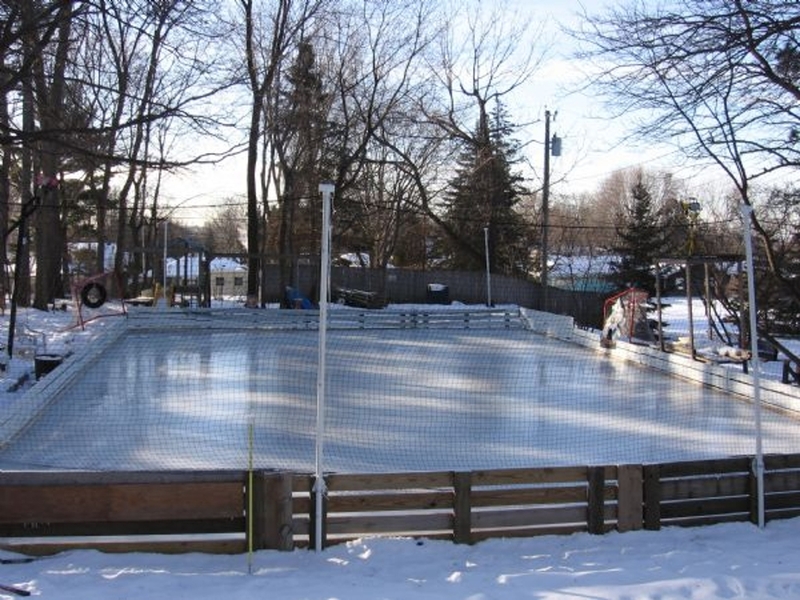 Every rink is different in size, but, 5 truck loads (using no plastic as a base) yielded over an inch of ice for the entire Groveland Outdoor Ice complex. The Brandt family tried it. Click here to see the process, and, the end result. 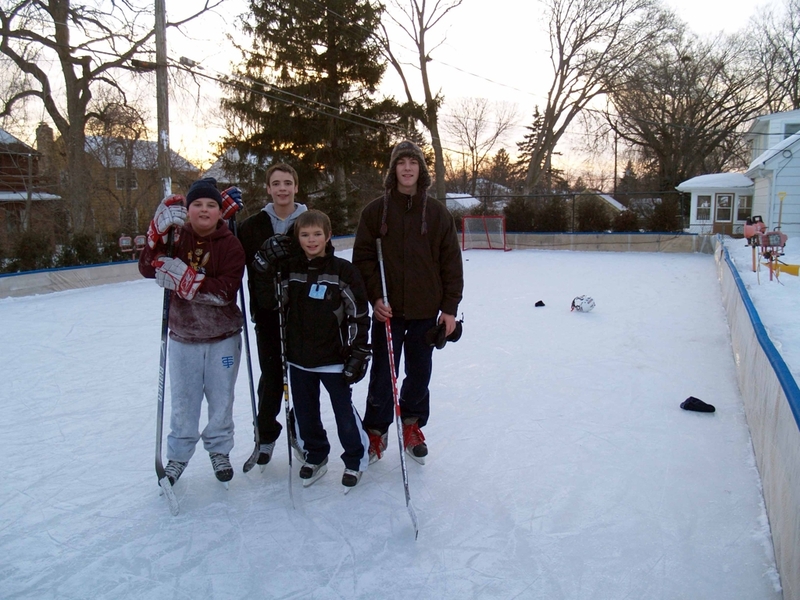 "Home Ice" by Jack Falla is considered to be one of the best books ever written about Backyard Rinks. 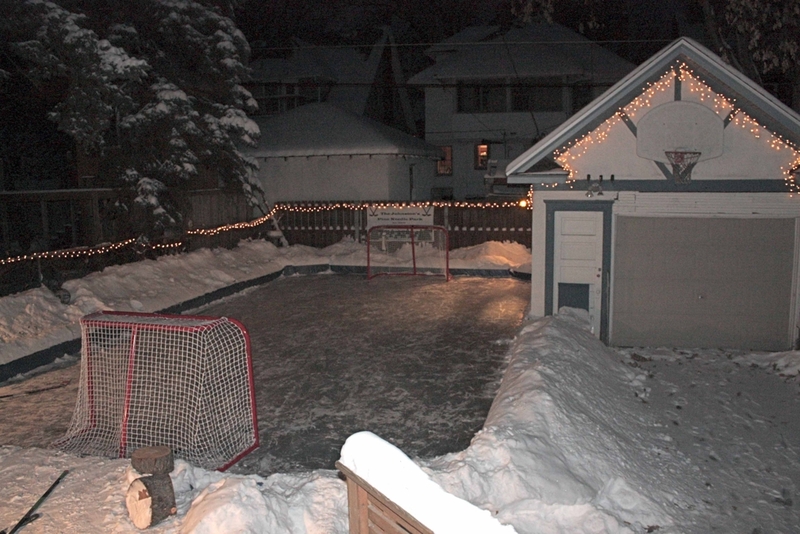 Have you been considering a backyard rink? 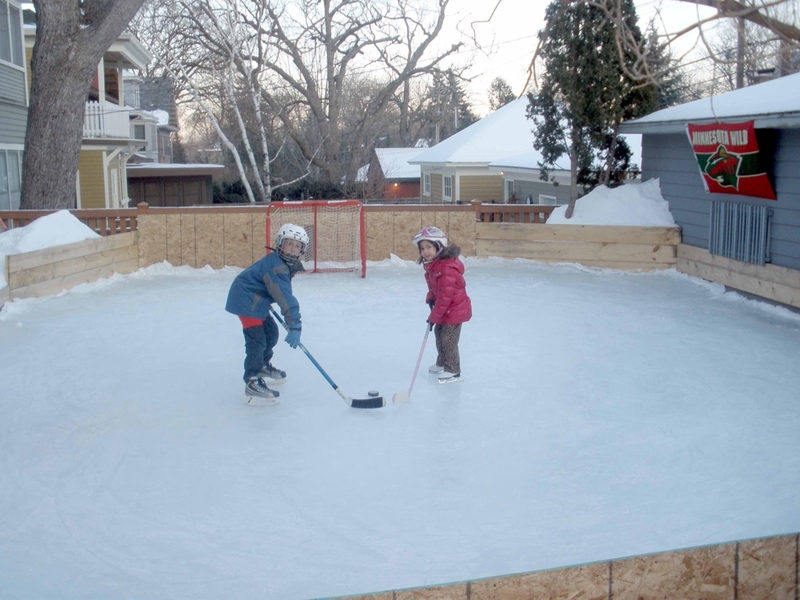 Building a backyard rink can be a great project for the whole family. 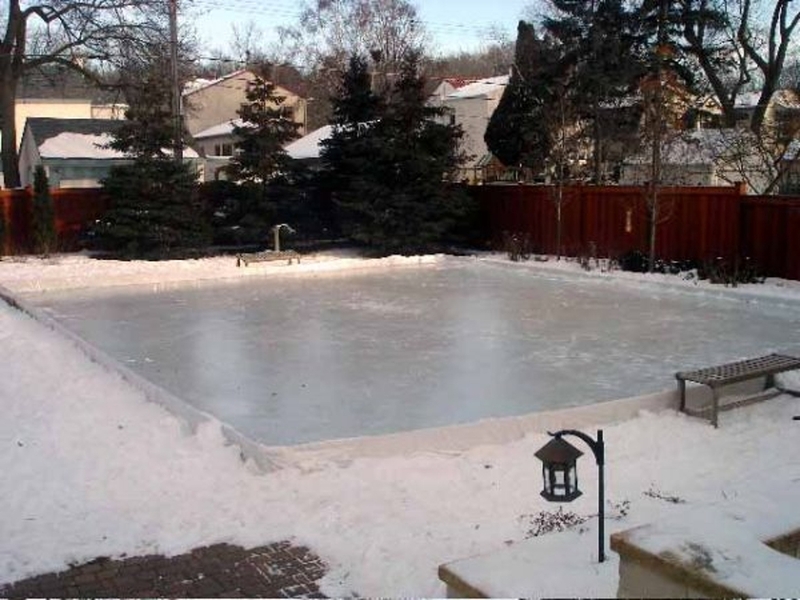 Having an ice rink in your backyard also provides a safer, more family friendly environment for the children; you know where they are and who they are with. 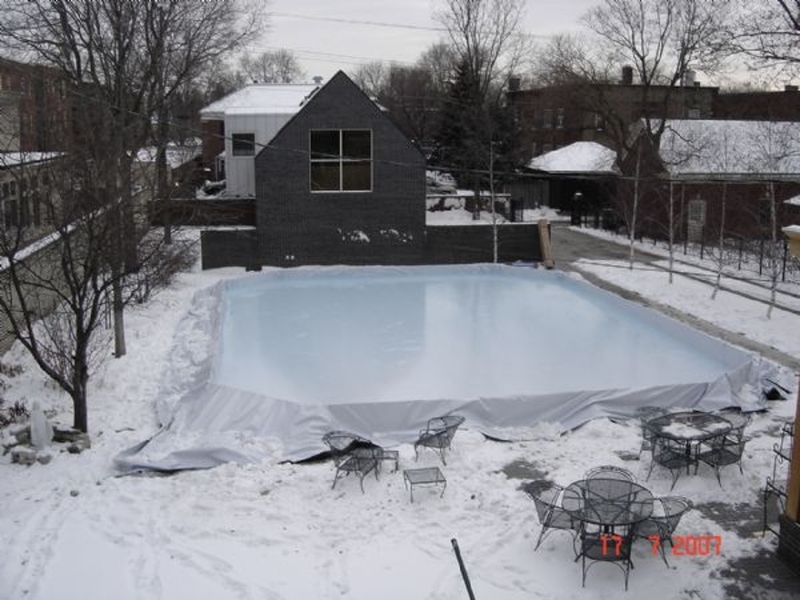 Finally, in addition to all of these positive aspects of learning how to build a backyard ice rink – it is a fun thing to do! 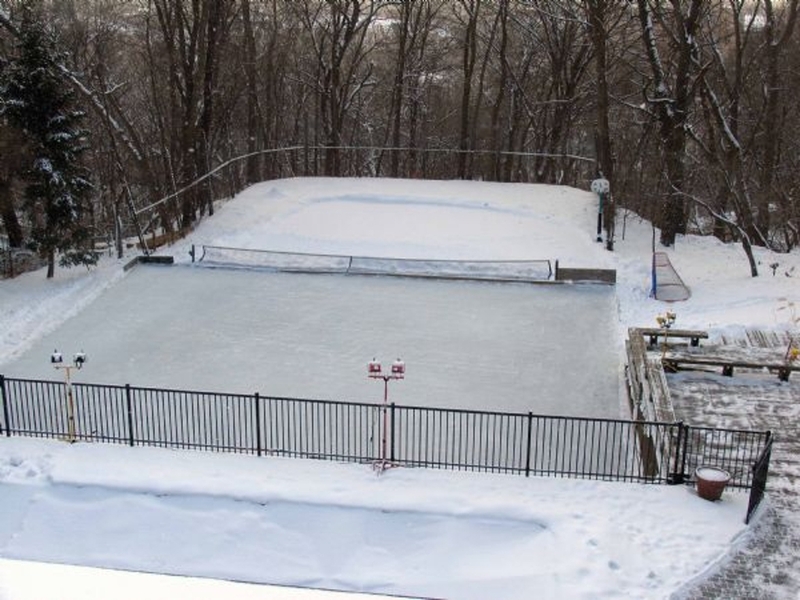 Check out photos of over 20 backyard rinks built in recent years by St. Paul Capitals' Hockey Families. 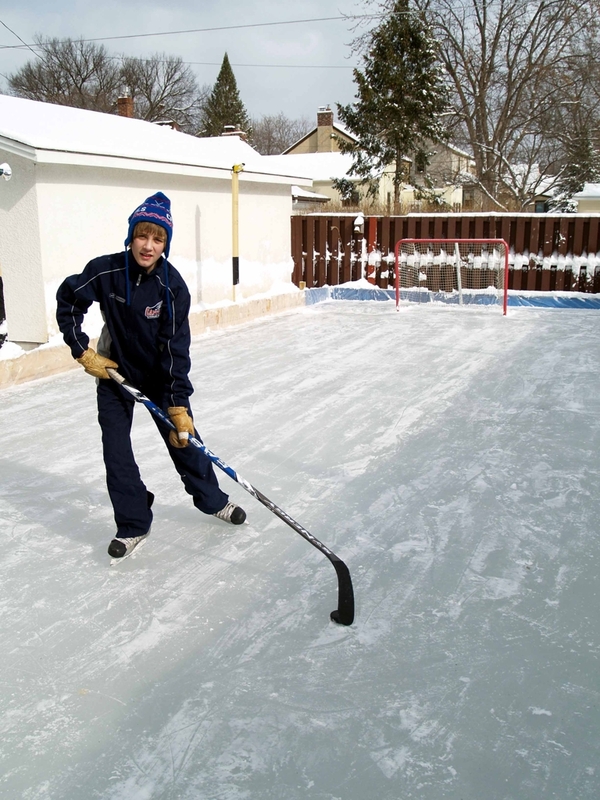 The photos in this section of our website are of homemade "Backyard Ice Rinks" belonging to Capitals' families. 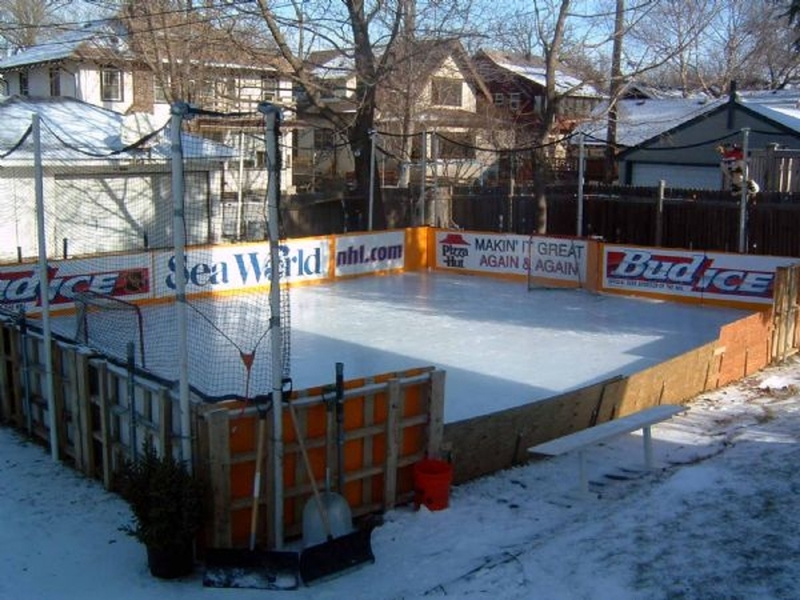 If you are a member of St. Paul Capitals Hockey Association and you'd like a photo of your backyard rink included, we would love to see it! ©2019 St. Paul Capitals Hockey Association / SportsEngine. All Rights Reserved.